Sales of digital SLR cameras shot up significantly over the last couple of years. As prices have come down to more affordable levels, many digital camera users are enticed to upgrade to a dSLR to take advantage of the more advanced features of these models. One of the disadvantages of a dSLR is that it's significantly larger than a point-and-shoot digicam, you can't just tuck it away in your pocket or bag so one of the accessories that will come in handy on-the-go is a camera bag. In this review I'm taking a closer look at the Lowepro Cirrus TLZ 25, this is the largest model in Lowepro's toploading Cirrus TLZ series. 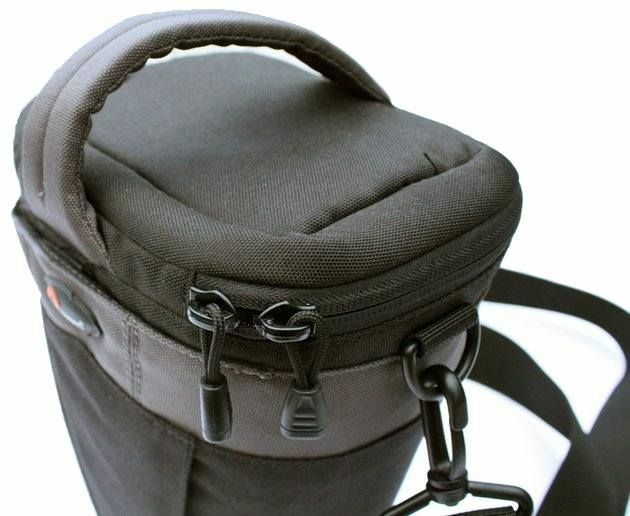 This particular holster bag was designed for one digital SLR camera with short zoom lens attached, and a couple of small accessories. The Lowepro Cirrus TLZ 25 is available in two color schemes; Ultramarine Blue and black/dark gray. I'm taking a look at the latter one, the external design of this model is mainly black and has some grey accents. The exterior is made from a tough water and abrasion resistant fabric, which should keep your camera dry during rainfall. The bag has a relatively compact size and at 250g it's very light weight. Capacity: 1 Digital SLR camera with short zoom lens attached, memory cards and small accessories. 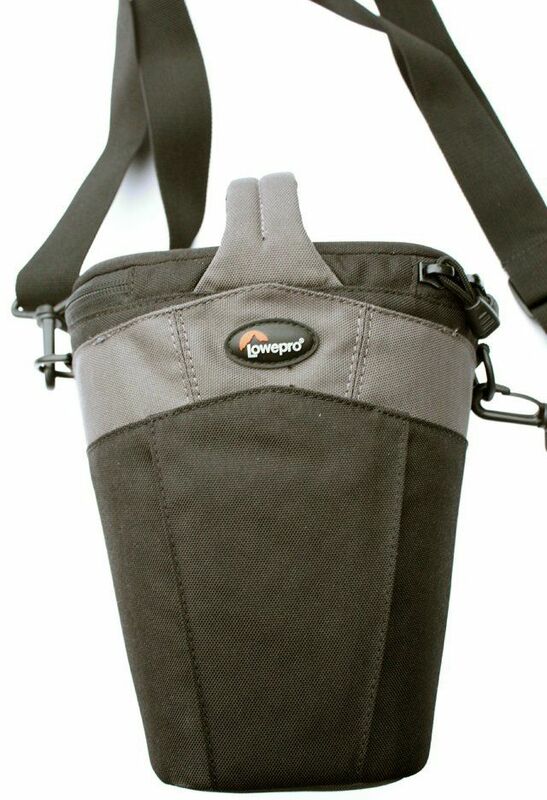 There are three ways to carry this holster bag; there's the top handle, a removable shoulder strap and a large belt loop at the back of the bag. The top of the bag opens with dust-resistant reversed zippers and has a large padded handle. The shoulder strap can be adjusted but unfortunately it has no padding. 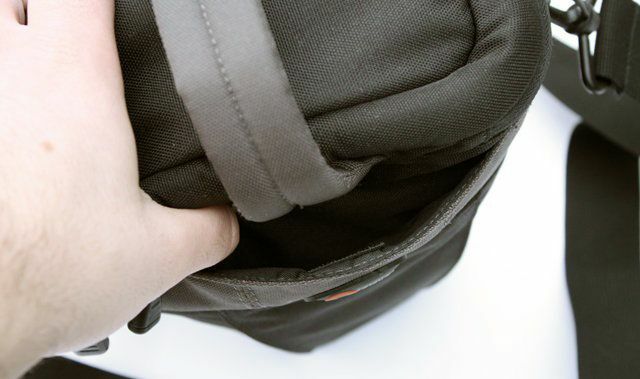 Lowepro says on its website that one of the special features of the bag are the 360-degree swivel clips that prevent tangling of the shoulder strap. Behind the Lowepro logo there's a Velcro-sealed pouch. 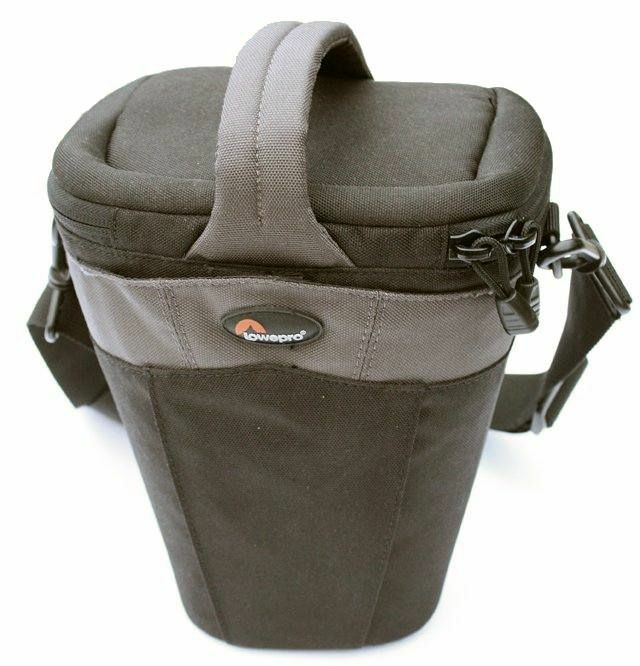 It's not very big and it's pretty tight, there's just enough room for small objects like an extra battery, lens cap or perhaps even your battery charger if you can cram it in there.